Our Butterflies and Mealworms Are On Their Way! Well, it is that time of year when the sun is suppose to be out and insects are flying about. Well, it has to stop raining and be warmer than 45 degrees. Brrrrrr. The cold won't stop us though. The insects are on there way. So, I am getting ready by making a TPT resource for myself, my classroom teachers , and you my friends. 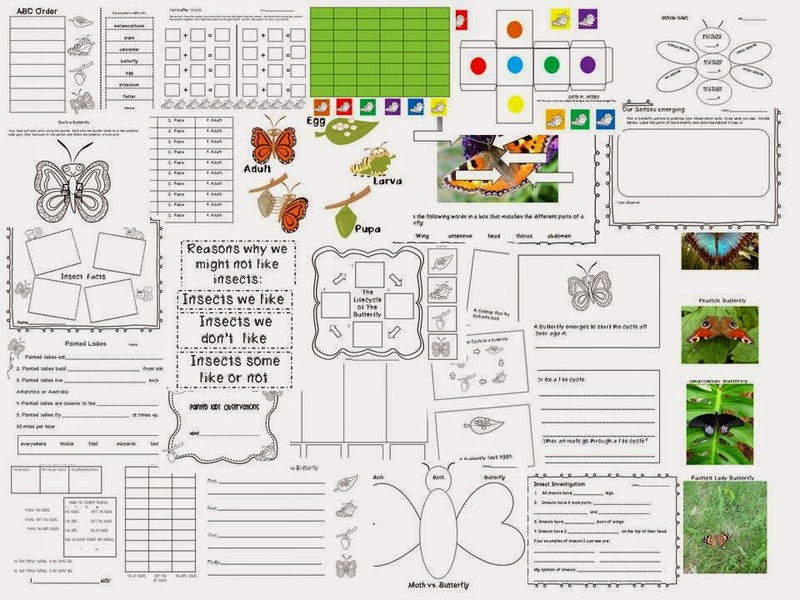 If you, as followers, would like a free copy...leave me a comment with your email... Or email me...at k5sciencegal@gmail.com, and I will send you a free download of my Life Cycle of the Butterfly and Insect Connections. Check out what you could get. On its way... Hope you like it.